On her morning commute, coral biologist Ruth Gates drives the length of Kāne‘ohe Bay, a lagoon the color of blue opal backed by steep volcanic mountains on O‘ahu’s windward coast. She parks her silver Hyundai at a pier and catches a boat to Coconut Island, where the Hawai‘i Institute of Marine Biology is located. Gates loves working here because there are corals everywhere. Corals shaped like knobs of ginger, heads of cauliflower, and portobello mushroom caps fringe the island, and crust together in dozens of patch reefs on the bay’s floor. “If I could be anything, I’d be a coral,” Gates tells me when I meet her on Coconut Island last September. Even her short daily commute to the island is an opportunity to check on the reefs. And last year, a glance into the translucent water was all she needed to sense that something was wrong. From the surface, the corals normally look like brown blobs. But in July, they started to pale. By September, many were a glaring white. Sunny, warm, windless weather, while great for tourists, “is the worst-case scenario for a coral,” Gates explains. For months, that worst-case scenario had prevailed, partly thanks to an intensifying El Niño, a cyclical bout of warm water in the central Pacific. Gates coped by wearing linen. But there was little corals could do to cool off. They were literally stuck in hot water—water that topped 32 °C, more than two degrees above its normal peak. The corals reacted by expelling symbiotic algae that are essential to their survival. The algae feed the coral via photosynthesis and live in the white tissue that covers the animal’s calcium carbonate skeleton like skin on bone. Without the algae, corals fade from a healthy brown to a stark white, becoming “bleached.” Corals often recover, but if the water gets too hot or stays hot too long, they can die. In 2014, around three-quarters of Kāne‘ohe Bay’s corals bleached in only the second such event on record here. Most survived, but then another mass bleaching event happened in 2015, delivering an unprecedented one-two punch. Clouds shroud the mountains and a stiff wind makes the ocean simmer with tiny whitecaps as Gates and I boat to Reef 13, one of the bay’s patch reefs. We drop anchor under a spot of sunlight, and plunge into the turbid water. Soon we are kicking around hills of large, round corals. The reef is riddled with bleached, but still living, corals, some so white they look as if they are made of porcelain. Others have recently died, and sludgy algae are beginning to colonize their skeletons. Yet there are still rich-brown corals here and there, even after months in hot water. Back on the boat, Gates sits cross-legged near the bow in board shorts and a rash guard, interpreting what we saw. She is stunned by the amount of bleaching, yet surprisingly upbeat. In nature, massacres are rarely complete, and she fixes her attention not on the dead and ashen, but on the survivors—the brown corals that, in some cases, sit right next to sickly white ones of the same species. The brown ones are “super performers,” Gates proclaims. These corals fill her with optimism that reefs can persist—albeit with more human help than they’ve needed in the past. What makes them strong, she wonders? And can we mine that strength from their genetic code to build reefs for the future ocean? We’d be wise to keep coral reefs around, if not for their own sake, then for ours. Though reefs occupy less than one percent of the ocean, they help support an estimated 25 percent of marine life. More than a billion people depend on reef fish for protein. In Hawai‘i, reefs are a tourist draw, they buffer coastal communities from storm waves, and they generate that epic surf. And in the Hawai‘ian creation story, life originated with a coral polyp. But here and everywhere, reefs are in trouble. “Never in my worst nightmare would I have imagined the amount of decline in coral reefs that I’ve personally observed,” says Bob Richmond, a University of Hawai‘i coral reef ecologist. Richmond began studying reefs in the Caribbean in the mid-1970s. Between 1970 and 2012, coral cover declined by more than 50 percent in the Caribbean, and a 2014 report suggested that reefs there could mostly disappear within 20 years. The list of threats to coral reefs is long: overfishing, disease, pollution that runs off agricultural fields, and even the odd molasses spill, as happened in Honolulu Harbor in 2013. Throw climate change into the mix—along with its twin menace, ocean acidification—and the outlook for coral becomes considerably grimmer. If the world dithers on cutting carbon emissions too long, warmer, more acidic water could pose an existential threat. Scientists have estimated that if emissions keep their current pace, all reefs will be under threat by 2050. Gates is intent on finding solutions because she can’t imagine a world without coral reefs. As a youth, she was such a talented athlete that the adults in her life suggested she forget her dream of following Jacques Cousteau into marine biology and focus on sports. But becoming a coach or physical education teacher sounded “about as interesting as an empty paper bag.” In college, a professor’s enthusiasm for coral infected Gates, whose focus has rarely wavered since. In 2012, Gates convened a small group of scientists, reef managers, and conservationists in California, and asked what science needed to be done to support coral conservation. It was there that she and Madeleine van Oppen, a geneticist based in Australia, started spitballing and came up with a provocative idea. What if they could enhance corals’ ability to adapt to a changing environment the same way the dairy industry gets cows to produce more milk: by breeding them for desirable genetic traits or otherwise manipulating their genes to accelerate the process of adaptation, thereby “assisting” coral evolution. Amid the doom-and-gloom forecasts for corals, there are “nuggets of hope,” says van Oppen. For instance, some reefs that have suffered repeated bleaching appear to have become more resistant to it. There are healthy corals in American Samoa, where daily water temperatures at certain spots on the reef can reach 35 °C—seemingly inhospitable conditions. And in a bay in Taiwan, a reef persists despite being flushed with warm discharge from a 30-year-old nuclear power plant. Gates and van Oppen have both studied coral genetic diversity—the raw material for evolution—and they know a lot of diversity exists between reefs and even within single populations. Diversity is presumably what allowed the reef in Taiwan to adapt to its industrial neighbor. Gates explains that although some corals probably died when the plant was built, the reef was eventually repopulated with survivors and distant corals connected to the reef by ocean currents. The problem is, if we keep loading the air and water with carbon, the marine environment could change so rapidly and drastically that corals won’t be able to adapt quickly enough on their own. It is with this scenario in mind that Gates, van Oppen, and a handful of others are now attempting to speed up evolution. The lab on Coconut Island where Gates and her team are gearing up to breed the “super performers” for potential use in reef restoration is a humble setting from which to explore such futuristic ideas. Electrical conduit snakes around wood walls painted cream with mint green trim, and insulation protrudes from the ceiling. Behind the building, in shallow blue tanks the size of large bathtubs, post-doctoral researcher Hollie Putnam is studying whether a parent’s exposure to stress influences its offspring’s ability to cope. She subjects cauliflower corals from local reefs to the warmer temperatures and lower pH levels that are expected to become normal in a few decades. Though corals often reproduce by broadcasting eggs and sperm into the water, where they meet and form larvae that then settle on the reef, cauliflower corals are also “brooders” and larvae develop in their polyps. Putnam wants to know if the corals that experience environmental stress while brooding produce more resilient offspring. When the larvae emerge, she tracks how well they grow and survive in waters of varying temperatures and acidities. Her research has already yielded intriguing findings: even when parents suffered in warmer, more acidic water—starting to pale, their photosynthetic activity declining—their offspring did better in the same conditions. These results indicate that parents can, in some sense, pass life experience on to their progeny. Putnam thinks this happens through changes in gene expression. The stress activates certain genes in the parents, and those genes are then “turned on” in the offspring from the start. She’s doing molecular work to test this hypothesis and in future experiments will investigate whether these changes are temporary or permanent, whether they can be passed down through successive generations, and whether similar patterns show up in species with different reproductive strategies. Putnam has also planted some of her “lab rat” offspring in the bay, and plans to monitor how they fare through future bleaching events. There’s much left to learn, but Gates says the results so far are promising, suggesting it may be possible to “precondition” corals at certain life stages to help buffer them against traumatic events. In Australia, van Oppen is running complementary experiments, which will help the researchers understand if their findings are particular to certain places or species. Van Oppen is attempting to evolve corals’ symbiotic algae by exposing them to heat stress over many generations, and plans to test whether corals inoculated with toughened-up symbionts survive better. She is also breeding closely related coral species from the Great Barrier Reef to create hybrids, and testing their performance against the purebreds in warmer, more acidic water. Often, hybridization results in more vigorous offspring, and some species naturally hybridize on the reef, but infrequently. And they’re not alone. Another international research group recently bred one species of coral from warm parts of the Great Barrier Reef with individuals of the same species that live in a cooler area. Their results, released in Science last year, showed that the warmer-climate parents had heat tolerance encoded in their DNA, and that they passed those genes on to their offspring. This “little approach” nevertheless represents a new frontier for coral reef conservation, which typically involves reducing pollution or fishing pressure. “I’m inherently uncomfortable with these interventions,” says Eric Conklin, the Nature Conservancy’s director of marine science in Hawai‘i. As a general rule, Conklin favors alleviating human pressures and letting nature take care of the rest. That said, he concedes that more extreme interventions may become necessary. Increasingly, the squeeze humans exert is so great—and, in the case of warming, acidifying waters, so impossible to manage at a local level—that even the most protected reefs may have trouble persisting. But intervention could present its own risks. Matz is skeptical of captive breeding because it tends to reduce genetic diversity, lacking the randomness of wild reproduction. He would not support building whole reefs from individuals bred in a lab. The potential perils, explains ecologist Bob Richmond, became evident in the Irish potato famine, when a single variety of potato dominated Irish agriculture. The potatoes thrived in Ireland’s climate, but were uniformly susceptible to a disease that devastated the crop. Around a million people died in the famine. “The work that Ruth is doing is phenomenal,” Richmond says. “But if we’re raising things to handle temperature, we can’t lose vision of the fact that what may survive under one set of circumstances, may not survive under others.” Matz adds that the most realistic way to “assist evolution” is to preserve hot spots of genetic diversity, and to ensure that genes can efficiently flow between coral populations. For the corals she lives and works among, Gates is opening a new chapter in a decades-old struggle for redemption. A century ago, tourists paid 50 cents to ride a glass-bottomed boat over Kāne‘ohe Bay’s lively coral gardens. But the gardens were later dredged to clear landing space for seaplanes. On shore, traditional terraced fields that had kept sediment and fresh water from smothering reefs became plantations and suburbs that did corals few favors. Until 1979, sewage was dumped directly into the lagoon. At one point, coral cover on the reefs in Kāne‘ohe Bay was reduced to 12 percent. But when humans let up a bit—diverting sewage, yanking out introduced seaweed—the reefs bounced back. In rhythm with the summer moons, corals broadcasted eggs and sperm into the water, and the squirming larvae that formed settled and grew on the calcified skeletons of their ancestors. On some reefs, coral cover is now nearly 100 percent. Cally Carswell is a freelance journalist covering science and the environment from her home base in Santa Fe, New Mexico. Her reporting on climate change and conservation has won awards from the National Association of Science Writers and the Society of Environmental Journalists. 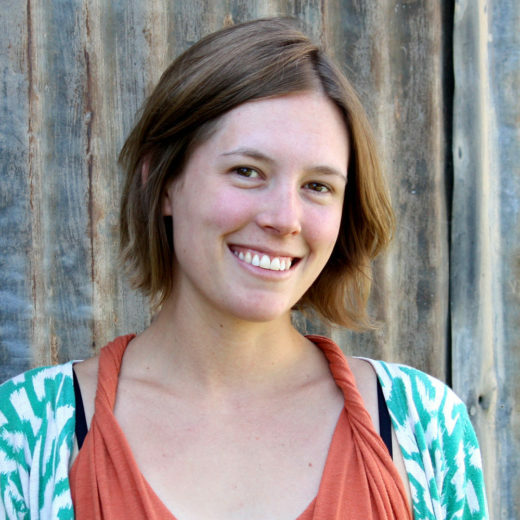 She is a contributing editor at High Country News, the environmental magazine for the American West. Cite this Article: Cally Carswell “Breeding the Ubercoral,” Hakai Magazine, Jun 21, 2016, accessed April 26th, 2019, https://www.hakaimagazine.com/features/breeding-ubercoral/.